Extremely nice shave today, comparing two iKon razors: The H2O two-piece razor (in front, holding a Treet Black Beauty carbon-steel blade, previously used) and the S3S three-piece razor (in back, holding a previously used Personna 74). a. The asymmetry is pleasant, but I don’t really try to exploit it: I use the two sides interchangeably, with both razors. b. Both razors do an excellent job, and the feel is not the same as the usual razor: the head feels different against the skin. c. Of the two, the S3S appeals to me more just because of the heft and weight of the head—and whether it’s true or not, it gives the illusion that it is shaving more easily due to that weight. I just like the overall feel better. But, that said, the H2O is quite a good razor and I do like it a lot. But if I had to choose one, I’d choose the S3S. A little bit of Aspect as the aftershave, and now I need to get going for the cleaning ladies. It’s not clear what led to NATO strikes on two Pakistani border posts this weekend, but there can be no dispute that the loss of lives is tragic. At least 24 Pakistani troops were killed. We regret those deaths, as we do those of all American, NATO and Afghan troops and Pakistani and Afghan civilians killed by extremists. We regret the deaths of “Afghan civilians killed by extremists“, eh? But not the scores, or hundreds, or (most likely) thousands killed by US forces? Those are okay? Man, what a revealing statement. “Afghan lives mean nothing to the US, according to the NY Times.” Won’t that play nicely on the world stage? But the reason they hate us? Our freedoms. Take it from a man whose level of knowledge is legendary: George W. Bush. Greenwald also has some words on this. Every living thing—plants, animals, microorganisms—shares an extraordinary history that stretches back 4 billion years to the origins of life on Earth. Although countless species have come and gone in that grand interval, today we share the planet with tens of millions of species, simultaneously shaping the Earth’s very form and function. Akin to the miracle of loaves and fishes, living things have turned, and continue to turn, stone into soil. The presence of life on Earth is so robust that it has markedly affected the composition of our atmosphere and continues to do so. Indeed, the atmospheric carbon dioxide concentration rises and falls in an annual rhythm tied to the seasons by biological activity—almost as if the planet itself was a living organism. Because each species represents a set of biological solutions to problems particular to its own survival, the diversity of Earth’s organisms is, in essence, an incredibly valuable reference library with a countless number of volumes, most of them yet to be cataloged. Societies, excepting the most despotic, place enormous value on libraries and never justify them in terms of their economic benefit. There are many reasons to value biological diversity as we do any great library. The life sciences are transformed regularly by the discovery of previously unknown biological properties in organisms that had been considered esoteric or lacking in utility. A case in point is . . Very slowly. Richard Dawkins, in Climbing Mount Improbable, points out how people looking at, say, the human eye and wondering how on earth that could have evolved, are looking at the sheer cliffs of the north face of Mount Improbable, with the eye way up near the peak and us at the foot of the cliff, thinking, “There is no way to get up there.” But if we travel around to the foot of the mountain on the south side—which is a great distance away—we see a flat plain starting a gradual slope, so gradual that going up it is a stroll, not a climb or even a hike. But the slope stretches a very great distance indeed, and when we reach the end, we find ourselves standing atop those cliffs that seemed unclimbable. The last common ancestor of all living animals probably arose nearly 800 million years ago, a multidisciplinary research team reports in the Nov. 25Science. From that common ancestry, various animal lineages diverged and evolved on their own paths. Yet the major animal groups living today didn’t arise until roughly 200 million years later, in an exuberant burst of forms preserved in fossils during what’s called the Cambrian explosion. “The Cambrian explosion is like the industrial revolution,” Erwin says. Inventions that would later be important for a major shift in technology — or, in this case, genetic novelties important for evolution — appeared long before they played a role in widespread changes that had a major impact on life. For understanding animal origins, the new paper “is really worthwhile as it stands back and tries to make sense of the whole picture,” says James Valentine of the University of California, Berkeley, who studies animal evolution. Just what happened with animals during that Cambrian explosion remains one of the more celebrated puzzles in the history of life. Charles Darwin mused over how diverse animal forms appear suddenly (geologically speaking) without much in the way of precursors. Darwin’s answer, as Erwin puts it, was that paleontologists just needed to look harder. More than a century of hard looking has turned up some signs, fossils as well as traces of biological chemistry, of enigmatic animal life before the Cambrian period began about 541 million years ago. Yet the relationship to modern animals often is not clear. Theories themselves have exuberantly exploded in number and form. For the new study, Erwin and the rock side of the team . . .
Just small fillings. Glad to be home, all fixed up. 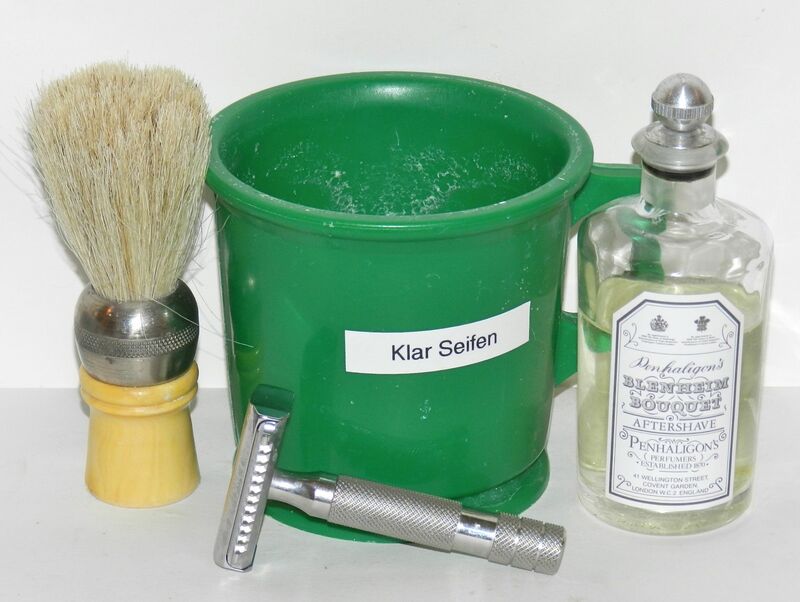 I have a full-sze puck of Klar Seifen as well as the soap in the tin. I assume they’re the same stuff, but the lather today was not the equal of yesterday’s. Of course, I used today the Vie-Long boar+horsehair brush, so perhaps that accounts for it. I’ll try this soap again soon, with a badger brush. 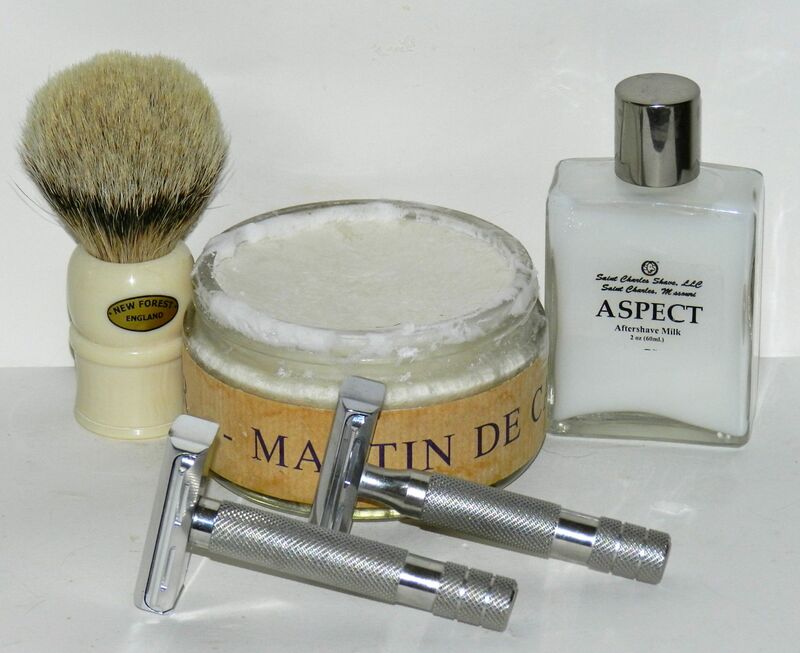 I got the S3S and enjoyed a very nice shave indeed: the mass of the head makes kfor an easy, smooth shave, some credit for which must go to the newish Personna 74 blade. Three passes, a splash of Blenheim Bouquet, and I’m good for the day.